Although aborted fetal cells have yet to cure paralysis, reverse the effects of Parkinson’s disease, or cure cancer, they have may be able to make diet sodas taste better. 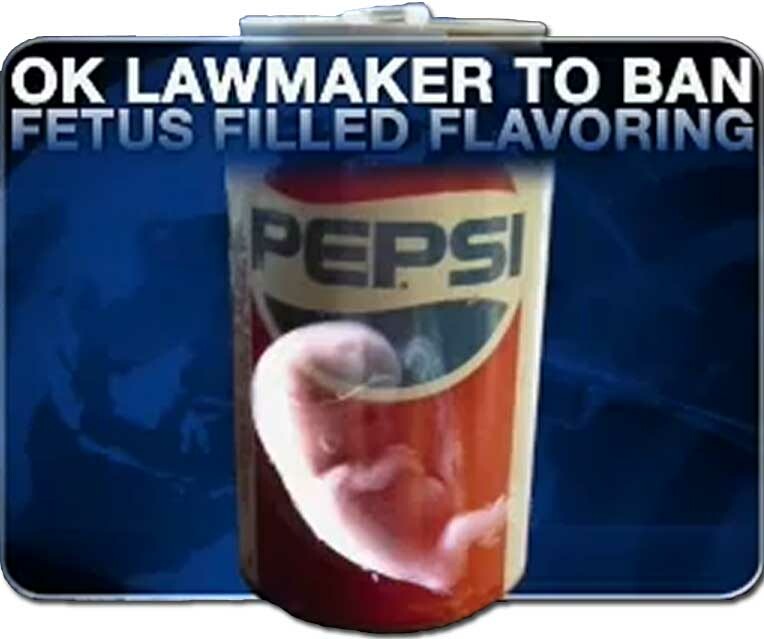 The Pepsi Company has been using Senomyx Inc. (a San Diego biotech company) to conduct artificial flavor-enhancing research by using aborted fetal cells (more specifically human embryonic kidney cells) to test human reaction to various flavors. Pepsi Co. which is the world’s second largest food and beverage business announced the $30 million deal on their website in August 2010. 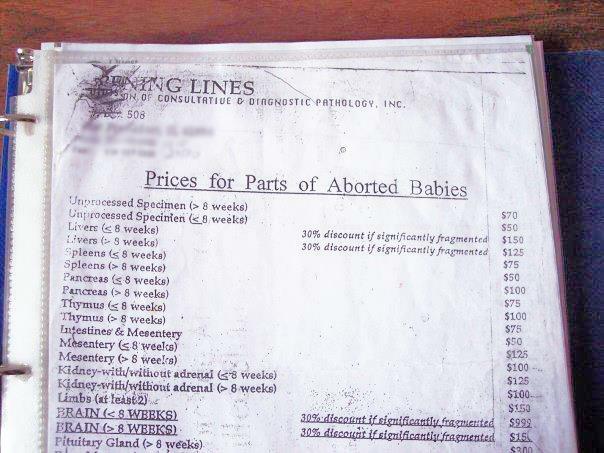 The cells however aren’t in the product itself, and are supposedly taken from 40 year old fetuses… but never the less this has still caused some controversy. Pepsi Co. claims that with this they are trying to make their products healthy, so that they won’t have to use high fructose corn syrup, aspartame, etc. Pepsi Co. then went on to file a 36 page plead to the Securities and Exchange Commission (SEC) to reject the shareholder’s resolution. Pepsi Co. was also able to get the Obama administration on board and had them conclude that their research fell under “ordinary business operations.” So now they may legally continue, although there are groups in the United States, Canada, Germany, Poland, United Kingdom, Ireland, Scotland, Spain, Portugal, Australia, and New Zealand that are advocating for a world-wide boycott. Many of the people involved in this boycott are looking to boycott all of their products, which include: Sierra Mist, Mountain Dew, Mug root beer, No Fear, Ocean Spray, Seattle’s Best Coffee, Tazo, AMP Energy, Aquafina, DoubShot, Frapppuccino, Lipton, Propel, SoBe, Gatorade, Fiesta, and Tropicana. Surprising, Pepsi Co. wasn’t the first to struggle with this issue… Nestle, Campbell, and Kraft-Cadbury Adams have contracted in the past with Senomyx, but have since then ceased. On another note, aborted fetus cells and/or proteins are 100% confirmed to be in most vaccines (24 to date, 10 of which in the US that are used for: polio, measles, mumps, rubella, chickenpox and shingles, hepatitis A, and rabies), 3 FDA approved recombinant drugs with up to 85 coming soon (Pulmozyme -Cystic Fibrosis/Genetech and Enbrel - Rheumatoid Arthritis/Amgen), and specialty cosmetic anti-aging creams (like the company Neocutis Cosmetics). An alternative has been suggested from many people to instead use animal cell lines, which are claimed to be just as effective and economical for all of the above applications. Studies have not yet been done to determine the health consequence of injecting contaminated aborted fetal DNA and materials into our bodies. 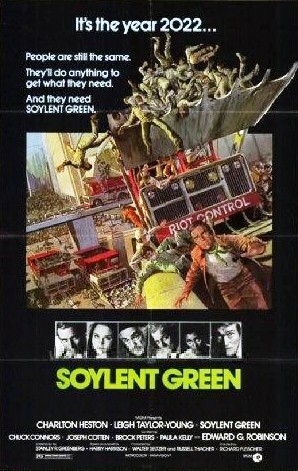 Another interesting thing to point out is a 1973 American science fiction titled “Soylent Green.” It pictures a dark future where there is suffering caused from pollution, overpopulation, depleted resources, poverty, dying oceans, and a hot climate due to the greenhouse effect. Much of the pollution survives on processed food rations, including “soylent green” which is made from human remains.